The 51AC Sound Intensity Calibration Kit provides a convenient calibration method for GRAS 50AI-LP, 50GI-RP, and 50GI-P CCP Rugged Intensity Probes. When the probe is configured with a 50 mm spacer, there is no need for disassembling the probe, it can be mounted directly into the calibration adapter. The calibration signal is a 250 Hz pressure signal provided by a GRAS 42AA Pistonphone, Class 1. A GRAS ZC0002K Barometer makes it possible to correct for the ambient pressure. The calibration adapter has two identical, acoustically sealed chambers for the two intensity microphones that are mounted in the intensity probe. Each chamber is lined with silicone rubber. A lid with two finger screws provides an effective acoustical sealing of the measurement chambers. These are identical within a tolerance of 0.15 dB. A coupling on the rear of the calibration adapter provides connection to the pistonphone. The calibration signal from the pistonphone is fed through this coupling into the two measurement chambers. The coupling provides a stress-free connection between pistonphone and calibration adapter when they both are placed on the same flat surface. Before leaving the factory, all GRAS products are calibrated in a controlled laboratory environment using traceable calibration equipment. Individual test certificates for the calibration adapter and the pistonphone are included. GRAS products are made of components from our proven standard portfolio and are all manufactured of high-quality material and branded parts that were chosen and processed to ensure life-long stability and robustness. 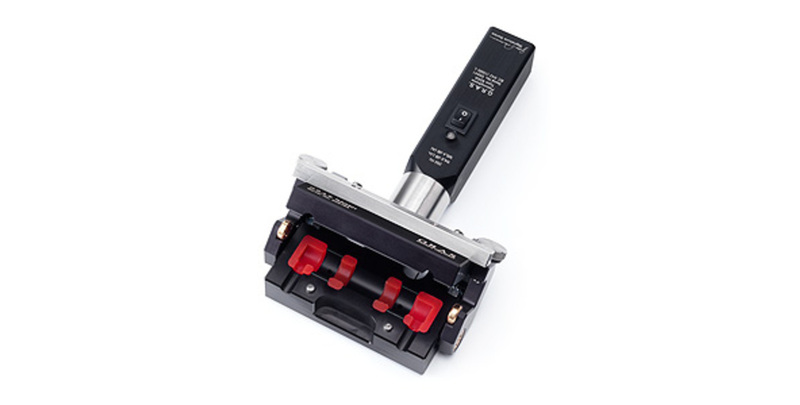 The calibration coupler housing comes with a 2 year warranty. The warranty for the pistonphone is 2 years. The warranty does not cover products that are damaged due to negligent use, an incorrect power supply, or an incorrect connection to the equipment. All repairs are made at GRAS International Support Center located in Denmark. Our Support Center is equipped with the newest test equipment and staffed with dedicated and highly skilled engineers. Upon request, we make cost estimates based on fixed repair categories. If a product covered by warranty is sent for service, it is repaired free of charge, unless the damage is the result of negligent use or other violations of the warranty. All repairs are delivered with a service report, as well as an updated calibration chart.